If you read my blog regularly or follow me on social media, you should know that I love batman. Call me a realist, but a super hero without any super powers always appealed to me the most! 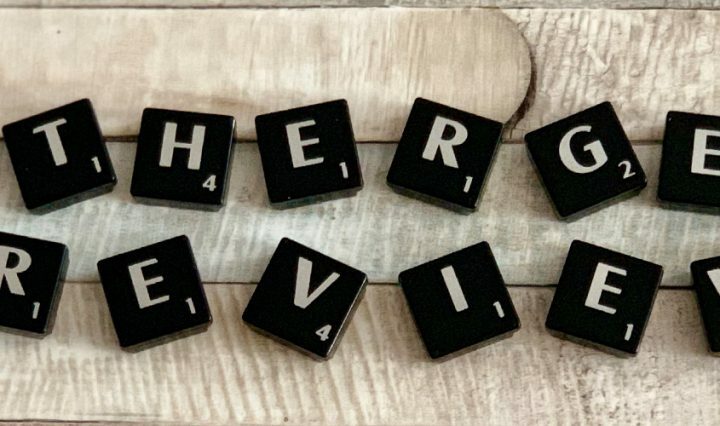 When we were asked to review some of the Herodrive DC Super Friends range, I was more than happy to agree! The collection is made up of the Herodrive Bat Racer, Herodrive Mash Machines and the Herodrive Signal Squad. I’ll tell you more about each style of vehicle as we go along. The Herodrive (Pictured on the left in the above photo) is suitable for children aged 3 and over. It has an RRP of £24.99, comes with batteries installed, and features lights, engine sounds, and Batman style music. When you switch the vehicle from “Try Me” to On using the switch on the base to unlock the fun! Push the roof of the car forwards, and the wings pop out of the side of the car! Press the logo on the car Bonet once, and the lights and sounds are activated. Press the batman logo again, and the Batman racer shoots forwards, with its cape flapping behind! 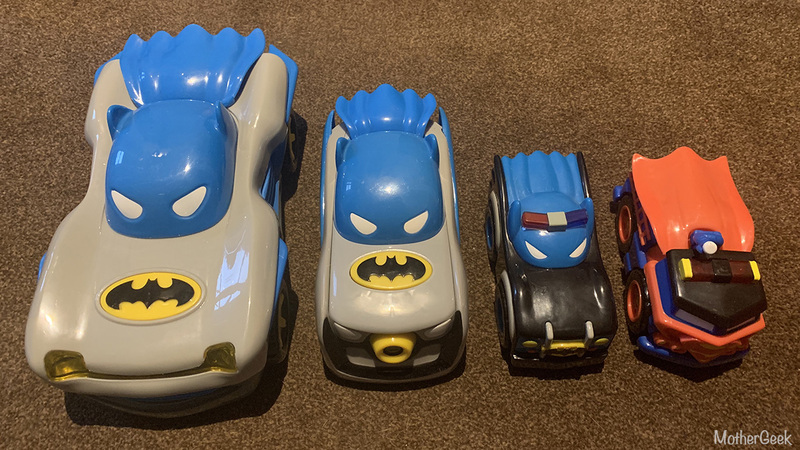 Herodrive are suitable for children aged 3 and over, and they are available in Batman and Superman styles at the moment. Each Mash Machine has an RRP of £7.99, so they don’t break the bank! We were lucky enough to receive both of them for the purpose of this review. (Pictured to the right of the photograph further up). Herodrive Mash machines are mash-ups of Batman and Superman branded cars with rescue and urban vehicles! Each character car features flashing lights and character-appropriate sounds. Both vehicles came with batteries included, so that’s one less thing to worry about. Simply push the symbol on the front grill to start the action! 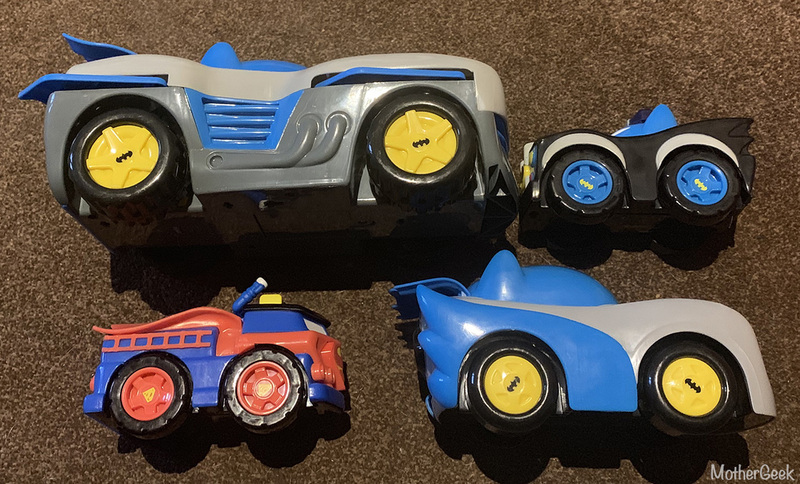 Herodrive vehicles are suitable for children aged 3 and over. They have an RRP of £12.99 each, and are my favourite of the 3 types of vehicles! When you press the logo on this Herodrive car, you project the car’s super signal onto a nearby wall! Honestly I wasn’t expecting the quality of this to be great, but I was wrong! Look how clear it is! We received the Batman Signal Squad vehicle to review, and it’s pictured second from the left in the photo near the top of this review. 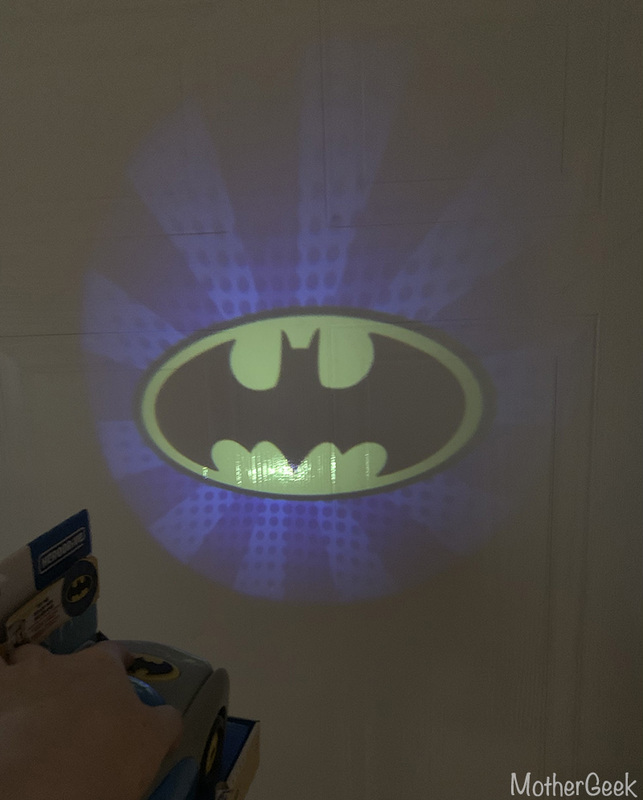 This car doesn’t play music or have sound effects, but the bat signal is so clear, it can be doubled up as a torch or night light. I love that the light goes off once you let go of the button, so there’s no chance of wasted batteries! My son has spent ages pressing the button when in bed since he got it – it’s a big hit here! (Sam has Autism, and as of yet, I haven’t managed to get any clear photos of him playing with the vehicles, but I will of course update the review if and when I do snap some decent photos). Each of the three vehicle styles offers a different sort of gameplay. Mash Machines are the smallest and cheapest of the range. Funrise (the manufacturers) haven’t cut any corners on quality though. Each of the two vehicles we received have survived numerous falls down the stairs when they’ve been raced off the landing! I am happy to report they’ve survived the falls in tact, plus the sounds and the lights still worked! You’ve probably guessed that the Mash Up Batman vehicle is styled to be a police car. This makes sense, as Batman is essentially a crime fighter. Superman’s Mash Up is a fire engine. Again, this makes sense as he’s best known for rescuing people. The below photo shows the attention to detail on the cars’ chassis. I love that each wheel even has the super hero’s logo on it. This image is a fab way to see the size of each of the different styles. Whether your little one wants to rescue damsels in Metropolis or fight crime in Gotham, these cars are a great way to do just that! The collection is available from Amazon now, or shop in store at in Hamleys. From February, Herodrive will be in store in ASDA, too! I’d highly recommend all of the vehicles, and will definitely be getting my nephew some for his 3rd birthday! Thank you to Funrise who sent us the 4 cars for the purpose of this review. All words and opinions are our own. If you enjoyed this review, why not check out my review category!